Ahhhh, Peppermint season… We LOVE it here at our house! 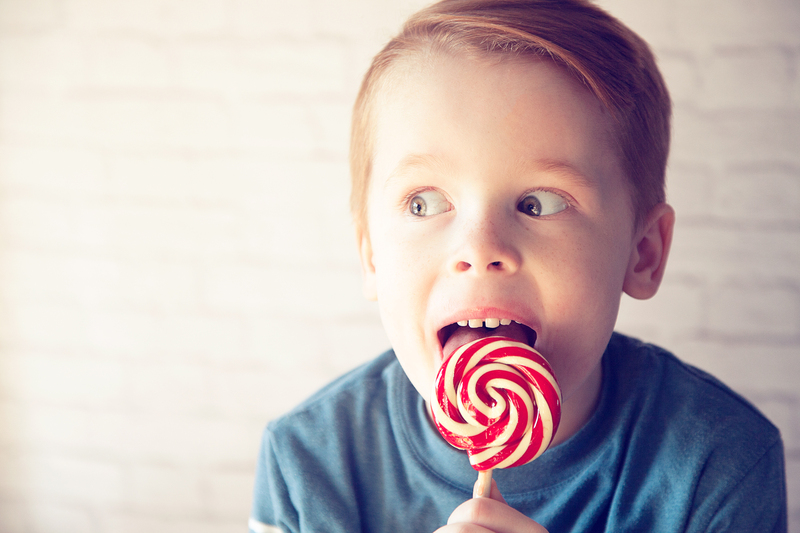 What goes best with Peppermint? Chocolate of course! 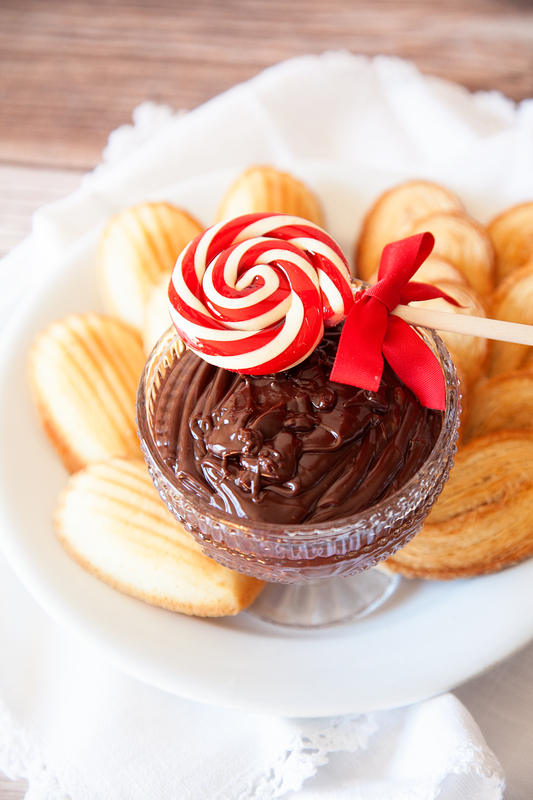 Here’s a fun new recipe for Peppermint Chocolate Ganache Dip perfect for Holiday parties. The minute the candy canes roll out, we’re hooked on all things peppermint. Peppermint hot chocolate, peppermint shakes, peppermint sugar cookies, peppermint ice cream… If it can handle peppermint, we’ll add it! With it being the Holiday gathering season, I thought it would be fun to create a Peppermint Chocolate Ganache Dip perfect for all of those Holiday parties we’re truckin’ off to. If you’re like me at all you’re on the hunt to find the perfect goodie to bring to all of those Holiday parties every year. This one is sinfully delicious and will make all of those Peppermint lovers squeal with delight. Yep, I promise! 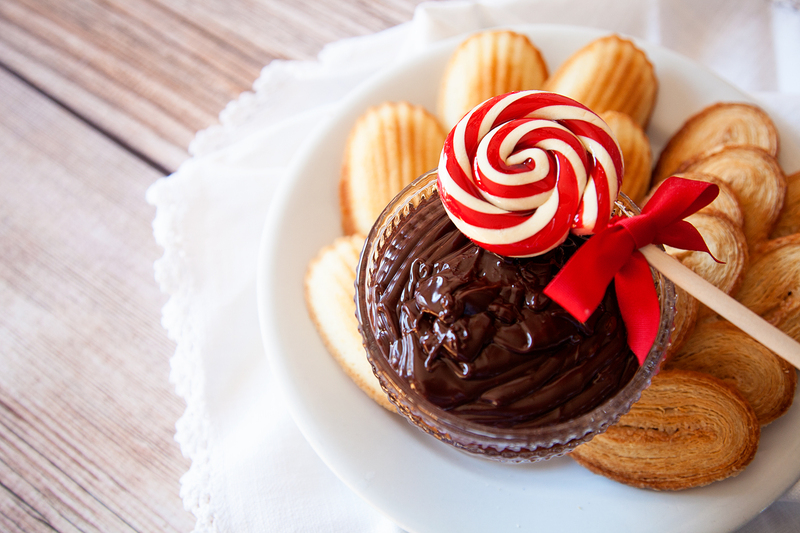 Think dipping your favorite cookie, pastry or even potato chip into a warm minty fudge delight. It’s a winner in my book! 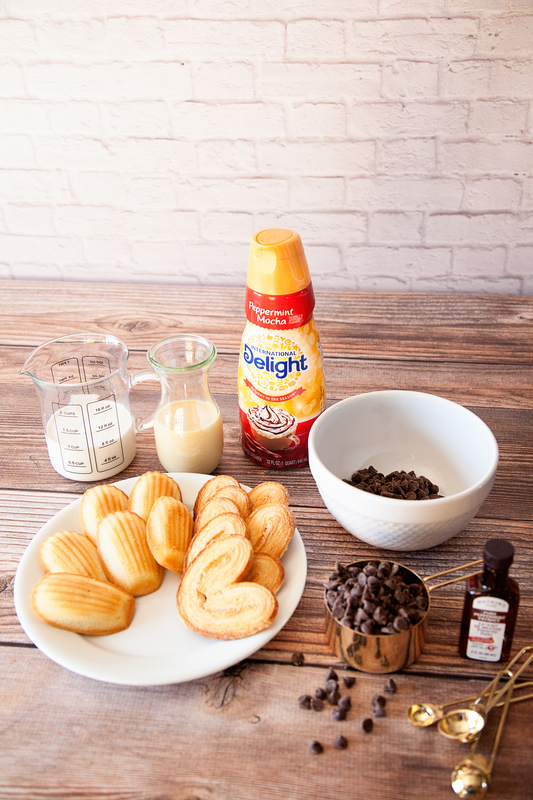 It’s super easy to make thanks to our friends at International Delight! 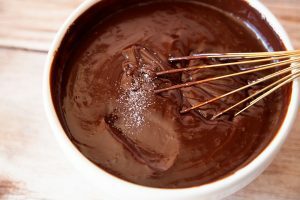 It’s similar to making fudge, but you serve it warm and as a dip rather than letting it set-up into fudge. 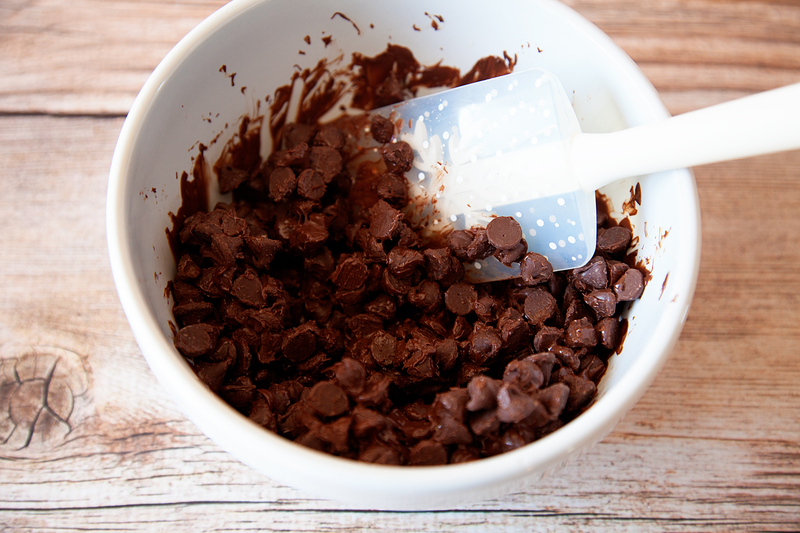 You’ll start with melting your chocolate chips. 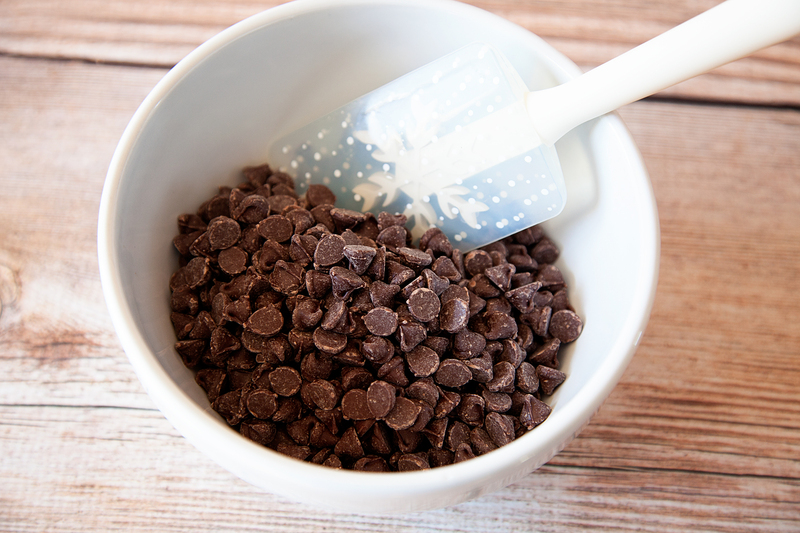 Using a microwave save bowl, add 2 1/2 cups of good quality chocolate chips. For this recipe I use semi-sweet, but you can use your favorite type of chocolate. Place them in the microwave for 30 seconds and then remove and stir. They will just start to melt, stir them around and place back in the microwave. 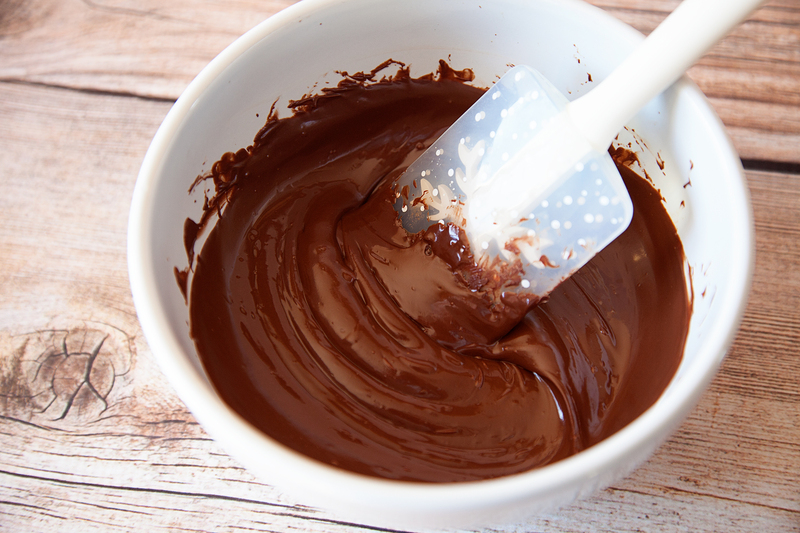 With chocolate you want to be careful, you never want to cook it for more than 30 seconds at a time. Chocolate can burn or scorch quickly, so you want to make sure to cook it slowly. You can always do this over a double boiler as well. Place back into the microwave for another 30 seconds. It’s starting to melt and become nice and smooth. If needed add it to the microwave for an additional 30 seconds. Remove and stir until nice and smooth. Here is where the fun begins. I want this peppermint chocolate dip to have a nice strong minty flavor so I add a 1/4 teaspoon of peppermint extract first. Then I add the International Delight Peppermint Mocha Creamer and sweetened condensed milk. whisk that really well and then added a nice pinch of salt. Salt always makes even sweet things taste so much better. 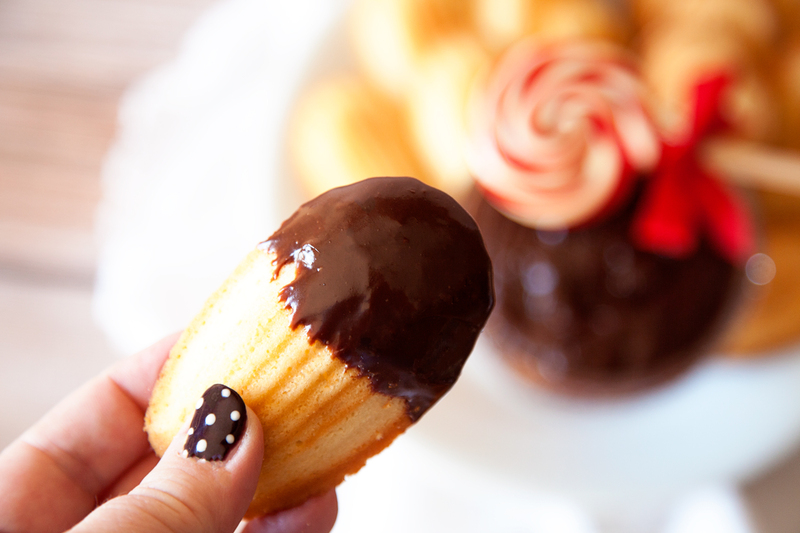 It helps to balance the sweet and make it delicious! Whisk the salt in and you’re ready to go. Add your dip to a nice serving dish and serve with your favorite treats. 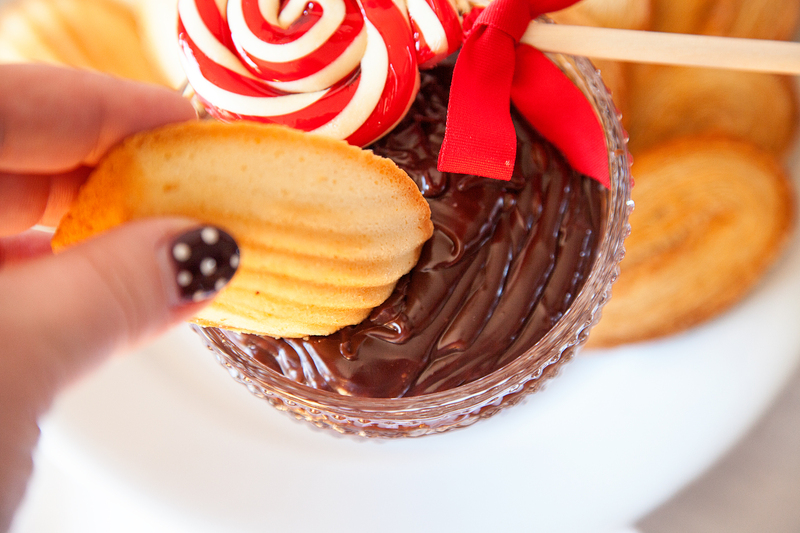 Try dipping potato chips in the Peppermint Chocolate Ganache Dip… it’s crazy awesome with the salty & sweet element! For more great recipe ideas follow International Delight on Facebook, Instagram, Twitter & Pinterest. With just a couple of ingredients turn your Holiday party table into the hit of the season! Garnish with crushed peppermint and serve with simple cookies, rice crispy treats or potato chips. 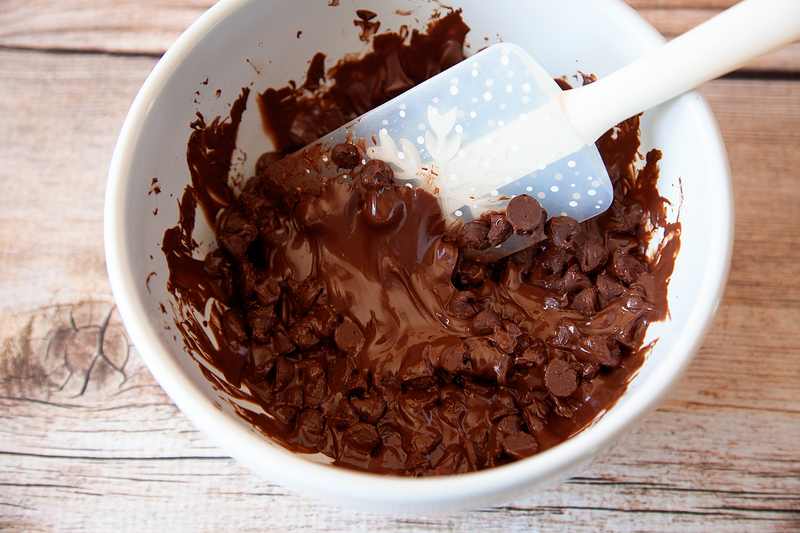 You'll start with melting your chocolate chips. 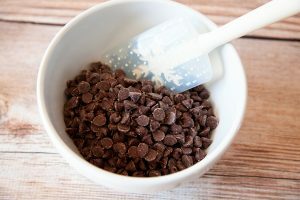 Using a microwave save bowl add 2 1/2 cups of good quality chocolate chips. 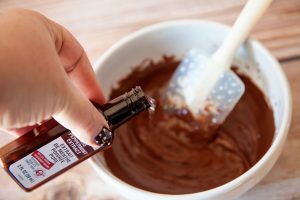 For this recipe I use semi-sweet, but you can use your favorite type of chocolate. Place them in the microwave for 30 seconds and then remove and stir. It's starting to melt and become nice and smooth. If needed add it to the microwave for an additional 30 seconds. Remove and stir until nice and smooth. I whisked that really well and then added a nice pinch of salt. Salt always makes even sweet things taste so much better. It helps to balance the sweet and make it so much better! Whisk the salt in and you're ready to go. Add your dip to a nice serving dish and serve with your favorite treats. 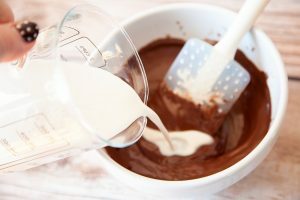 If your dip is too thick, add a little more of the creamer a little bit at a time until you get your desired consistency. If it's too thin add a few more chocolate chips.